Clarins is amongst my favourite brands, I can count on them to provide beautiful colours and incredible quality so I’m very excited to be writing about the Instant Light Lip Balm Perfector sticks from their Spring Makeup Collection. The outer packaging is your classic Clarins packaging, it’s the little red box which is very simple yet very cute. The actual lip balms (sticks) all display their colour proudly which I think is incredibly sweet, I mean how gorgeous do they all look lined up! The gold lid adds that extra touch of luxury to the whole look and this is why Clarins is such a hit with many people, they go that one step further. All the colours are incredibly beautiful and super-flattering on all skin tones. They seem to have a blue undertone to them and even though the look sheer and delicate, when colour is built up they have a crisp colour plus they make your teeth appear whiter – bonus! There a six shades to choose from. One colour I have to talk about is 03 My pink, this is a unique product as it contains sensitive pigments that react with the pH level of your skin producing a bespoke pink colour created just for you! Clarins always use plant-extracts in their products and in these lip balm sticks they’ve been specially formulated with nourishing mango, shea, and Vitamin E to hydrate and protect against daily pollution. You can purchase the Lip Balm Perfectors for £18, it’s not a bargain BUT you only need to use a little amount for that touch of colour so this will last you a VERY long time so why not brighten up a dull day with one of these beauties!? So, let me know what you think of these gorgeous lip balms (sticks) – are you loving these colours as much as me? What pretty colors. I like that they are lighter then most. 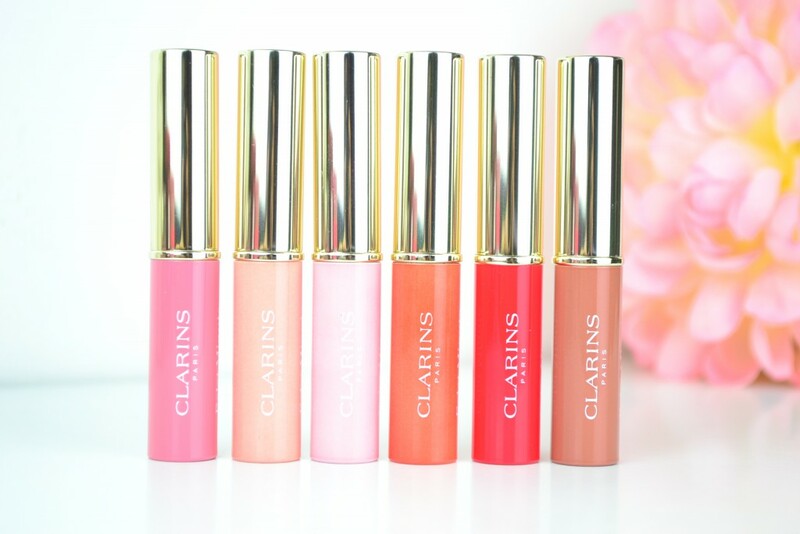 I’m a total Clarins addict and those lips perfectors are my favourite! I always carry one (or two) in my bag! this collection is stunning. I love all of the shades, i really think are necessary all of them to always choose the best shade. Loving all the shades so much! THEY ARE SO DELICIOUS HONEY! I LOVE THIS COLORS FOR A SPRING TIME! These looks so promising! I like how natural all the shades are, great review, Layla!